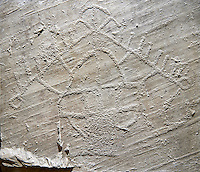 Pictures of Neolithic and prehistoric rock art pictoglyphs. 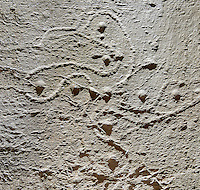 One of the most intimate connection with our ancient prehistoric ancestors is the rock art they made. It seems that man has evolved with the ability to communicate and beatify places of importance with pictorial representations. 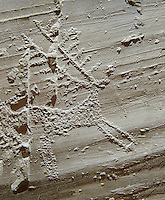 Prehistoric and Neolithic rock art varies from geometric decorative designs through to representations of animals and pictographs that tell a story. 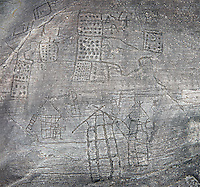 The rock art pictoglyphs of the Val Comenica in northern Italy cover a vast area , many still being discovered in its deep forested steep valley sides. 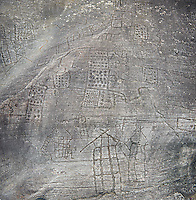 At their most complex the rock art of Val Comenica are maps of the surrounding area with houses, field systems and animals. These could have been some proof of rights of ownership by the peoples that lived there and the depiction of warriors with weapons indicate that they had to fight to retain their lands. 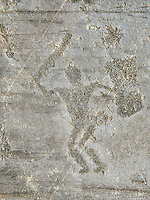 A common theme for rock art is that of men hunting animals. 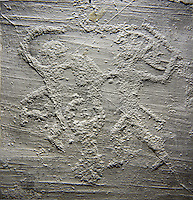 The depiction of prey animals has long been interpreted as the focal point of some sort of ritual that would bring good luck to prehistoric hunters. 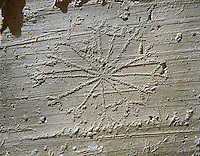 This theory is supported by the discovery of prehistoric rock art on the wall of dark caves that would have needed artificial light to view them. 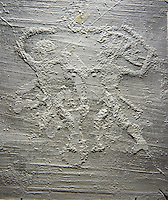 These could also have been made by families living deep in the caves during cold periods by the light of fires. 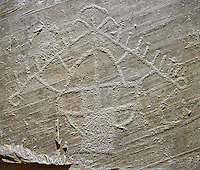 Geometric designs on rocks demonstrate a more creative side that Neolithic man had developed and the complexity of the geometric shapes indicates the sophistication of prehistoric mans understanding of geometry. 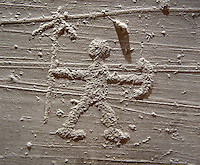 Neolithic man seems to have used rock art as both boundary markers and also to mark paths to quarries or sacred places. This would have enabled prehistoric people to travel to places to trade partake in ceremonies and find their way back home. 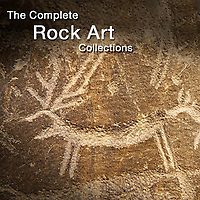 I nothing else rock art demonstrates that prehistoric people had the same creative urges that we do today and give us a strong visual connection with our ancestors.